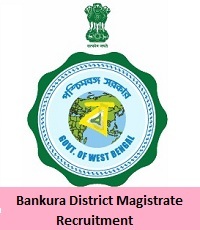 The higher authorities of Bankura District Magistrate had released the Bankura District Magistrate Recruitment 2018 For 11 Vacancies of Office In-Charge, Counselor, Child Welfare Officer/ Case Worker, House Father, Para Medical, Store Keeper. Those who are interested to apply for Bankura District Magistrate Advertisement 2018 from 26th November 2018 to 14th December 2018. From the below sections, candidates can get the entire details of bankura.gov.in Jobs 2018 such as educational qualification, age limit, selection process, salary details, application fee, important dates, and set of instructions to apply for Bankura District Magistrate Recruitment 2018. At the end of this page, aspirants can get the direct PDF link of Bankura District Magistrate Recruitment 2018 Notification. In the below table, applicants can get the details of Post-Wise Vacancies For bankura.gov.in Jobs 2018 of Office In-Charge, Counselor, Child Welfare Officer/ Case Worker, House Father, Para Medical, Store Keeper posts along with their count. Masters Degree in Psychology/ Social Work/ Social Science. Graduate in Psychology/ Social Work/ Social Science. H.S. Passed & Diploma in Nursing/ Pharmacy. Candidates who are having an acceptable age limit, they only can apply for the Office In-Charge, Counselor, Child Welfare Officer/ Case Worker, House Father, Para Medical, Store Keeper vacancies. So, before applying check the information of Age Limit For Bankura District Openings 2018. Candidates who had applied, they need to check the details of the selection process for the Office In-Charge, Counselor, Child Welfare Officer/ Case Worker, House Father, Para Medical, Store Keeper vacancies. Every applied applicant has to attend the selection process. The higher authorities of Bankura District Magistrate will provide the attractive pay scale for the selected candidates. Candidates need to check Bankura District Magistrate Recruitment 2018 Notification for fee details. First of all, candidates have to visit the official site of Bankura District Magistrate that is bankura.gov.in. In that go to the Citizen’s corner which is at top of the home page. Go to Recruitment section win Citizen’s corner. In that search for the blue flashing link of Bankura District Magistrate Recruitment 2018. Download the Bankura District Magistrate Recruitment 2018 Notification. Read the complete details in the Bankura District Magistrate Recruitment 2018 Notification. If you are eligible, then apply for the Bankura District Magistrate Recruitment 2018. Fill the details in the Bankura District Magistrate Recruitment 2018 Application Form correctly. Take two or more copies of Bankura District Magistrate Recruitment 2018 for further reference. Candidates can keep visiting Sarkari Recruitment for more fresh updates regarding the Bankura District Magistrate Recruitment 2018 Notification. They can also get more information like admit cards, results, syllabus, previous papers, and the latest recruitment notification of state and central jobs. If candidates have any queries they can leave us a comment in below comment box.